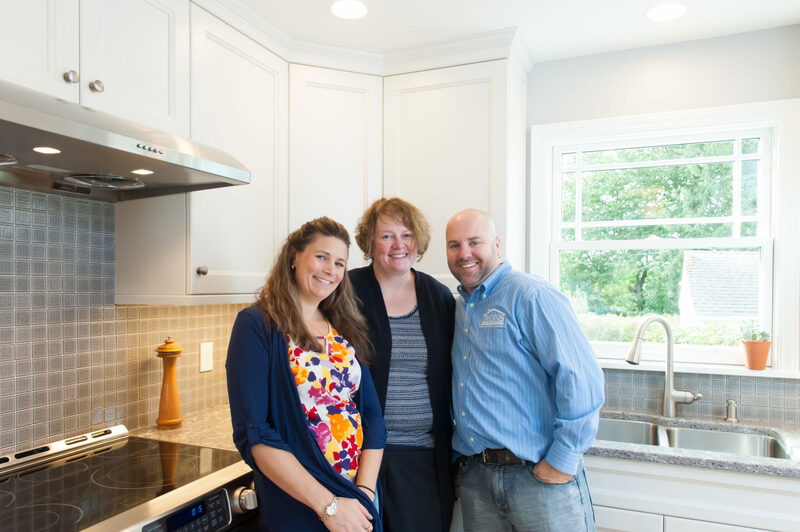 Our initial consultations all take place by appointment in Shoreline at our Design+Build Center, where you can meet with us and see our work in person. We are typically at least 3-4 weeks out to meet with new prospective clients about their projects. Complete our Consultation Request form so we can learn about your project. Probably longer than you would expect…. But this depends on the size and scope of your project, its complexity and building requirements. Also what is involved in planning prior to construction. Typically the planning process (design, architecture, material selections, review of feasibility) for your remodel can take as long as the construction itself. This can be anywhere from approximately 3-6 months or longer, excluding the permitting process. Each Design+Build project we undertake is custom and timelines vary. We provide a written construction calendar for our production team, design team, and our clients. If a permit is required for your project, we will obtain it as there are many good reasons to do so. You may need a permit depending on your project type and also your location. Each jurisdiction is different and so are their requirements.To research your local building standards and permit requirements, visit your City planning department’s website and/or office. When should I hire a contractor, or do the project myself? You may be a weekend warrior and like to do work around your house. This is great! But there is a big difference between the skills, knowledge, and equipment required for building your fence or garden shed, versus planning and completing a kitchen remodel or building an addition. When do I need a designer? A designer is always helpful, but not always necessary for every project. When undertaking a Design+Build project with us, such as a kitchen/bathroom remodel or larger, a designer will prepare the detailed construction documents used to build your project. They can also assist in developing the color palette, material selections, finishes, and layout, and develop the look and vision desired. Our clients often rave about how functional & ergonomic their completed projects are when using our Design+Build process! When do I need an architect? An architect is not required on all projects. We generally have architects involved in your project when adding on or when there are significant structural changes. Every project is unique we help determine this need at the initial consultation with a discussion about scope, budget, and your needs. What does your markup (overhead & profit) cover? All companies have a markup on their labor and materials, each company’s rates will vary. The mark up we have covers the following items for our clients: a warranty, our general liability insurance and workers comp coverage for our employees & trades, immediate customer service, well trained & educated staff, and for our registration, license, and bond fees. Can I help with a portion of the remodel? We get asked this question a lot. The answer is dependent on the type of work you would like to do. From time to time our clients will perform demo, painting, and some of the finish carpentry, but this is not the standard and typically will not save you money if you’re not a professional. Yes we do. With so many trades comprising the building industry, no one can be the best at everything. We found this out a long time ago! We partner with specialists to complete work in their area of expertise in an efficient, well-equipped and quality manner . Our production team manages all subcontractors on your projects, many who have been working with us over a decade. Will you work with my designer/architect? We will partner with you and your design team to build your remodel, but this is different than the Design+Build process. Plans and specs are often brought to us incomplete and require further review and research. For us to prepare a detailed scope of work and proposal a fee will apply. Do you work weekends and afterhours? Not in general. Our office hours in our Design+Build center are M-F from 830am to 430pm by appointment. Our onsite construction hours are typically between 8am to 6pm M-F. Weekends and after hours are reserved for our clients and staff to take a break from construction and enjoy family & personal time. Please contact us with any further questions you may have.